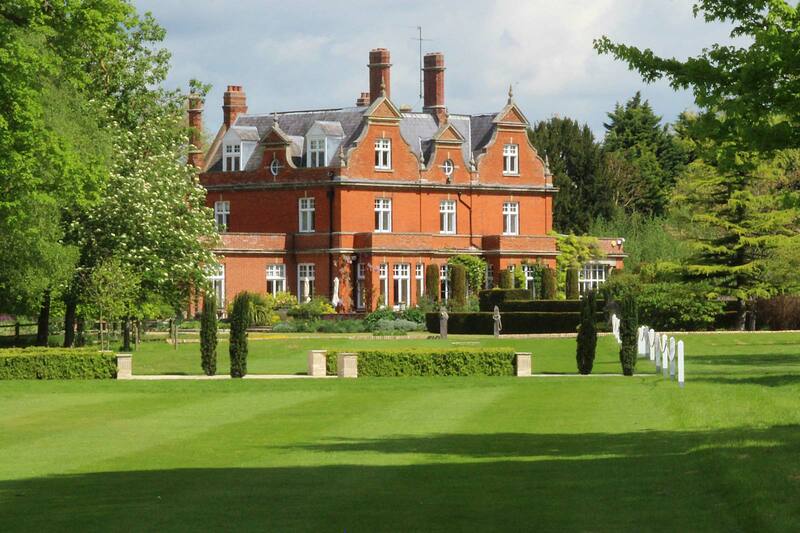 IF YOU’VE DREAMT OF GETTING MARRIED IN AN ENGLISH COUNTRY HOUSE AND GARDEN, YOUR SEARCH FOR A WEDDING VENUE STOPS HERE! 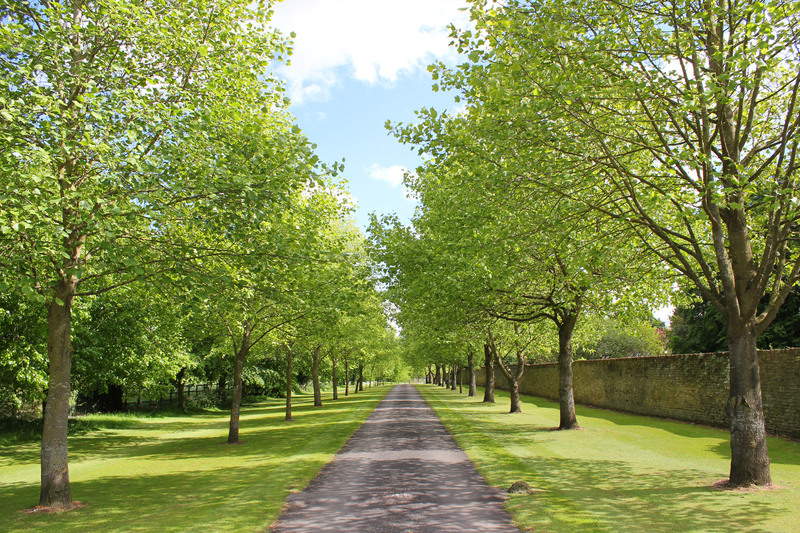 Chippenham Park is a privately-owned Grade II listed house, surrounded by 300 acres of Parkland and Gardens within easy reach of Cambridge and London. It’s located on the Suffolk-Cambridgeshire border near Ely and Newmarket. Norwich, Ipswich and Bury St Edmunds are all easily accessible, making it easy for your guests to reach. But secluded and peaceful enough to give you a truly magical wedding day. 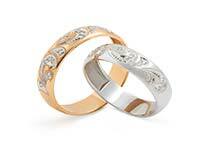 Enjoy organising your special day. We can’t thank you enough for all you did for us on Saturday and in the weeks leading up to Frankie and Hector’s wedding. The house and gardens looked stunning on the day and our guests were most complimentary. So please pass on our thanks to the Nicolles for allowing us to use their beautiful home for our special occasion. I can’t think of a better setting in all the years I have been attending weddings! We knew we were in safe hands from the start so thank you once again and we hope you get more business in the future either from us ( chance would be a fine thing) or from our appreciative guests. Thank you so much for everything. We truly had the most incredible wedding day from start to finish. It was even better than we'd imagined it to be. 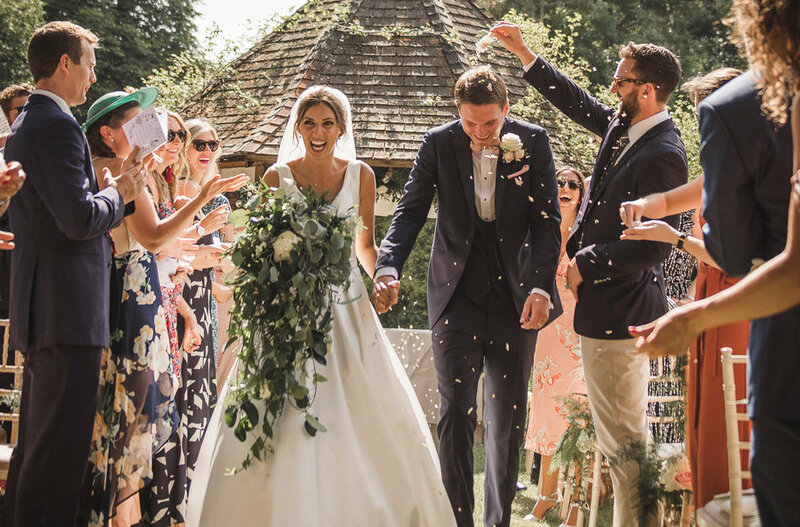 Both Maggie and I had so much fun and all of our guests were very complementary all throughout the day, commenting how amazing the venue was and how excellent all the staff were from both Chippenham Park and Crown Catering. We are very much indebted to you, Becca and all the team at Chippenham Park for organising the day so well for us. Your advice, planning and support on the day was second to none and we really do appreciate everything you did for us. Mike was brilliant in the set up and on the day, always willing to drop everything to help us out. Dora was incredibly helpful and supportive throughout the evening and all the guests found her very approachable and helpful. We met Kevin, one of the groundsmen, before the wedding and saw him on the morning of the day too. He was also incredibly friendly and helpful. So many of our guests told us that the wedding was like something from a fairytale. The venue, its grounds, and the slick operation by you and the team is what made this possible. We will obviously be recommending you to all of our friends and hope to see you all again in the future, perhaps at a wedding of one of our friends! Just wanted to send a quick email to thank you for everything 🙂 So many people loved the venue. We had a perfect day and everything was so smooth - thank you 🙂 You've been amazing to work with for the whole year and a half. Wishing you all the best in the future! 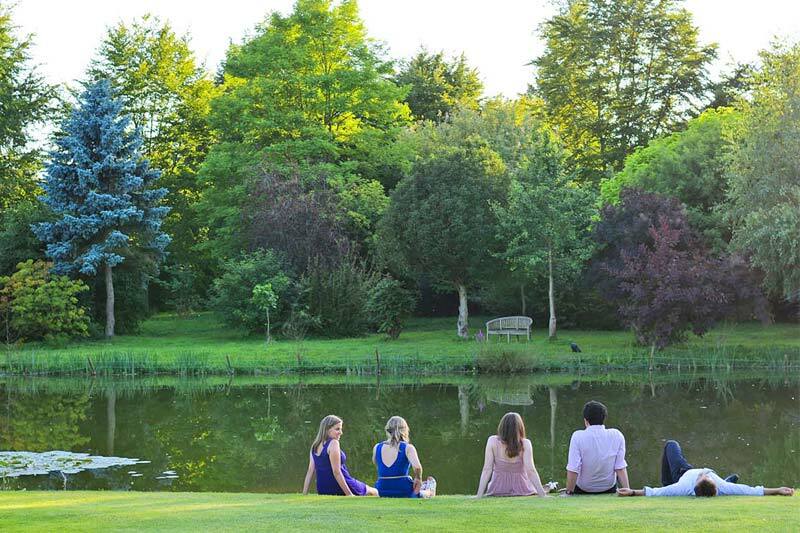 The most memorising idyllic venue! From the most stunning impressive house, to the grounds and lawns that could have been plucked out of all the romantic novels. This venue has it all. Including a lake, ponds and rose archways! 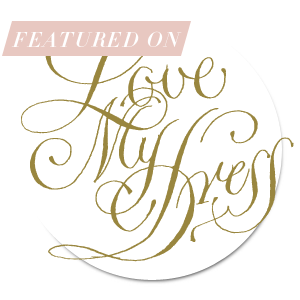 The staff are totally professional and you are made to feel like your wedding is the most important and amazing in the world (which of course it is!). 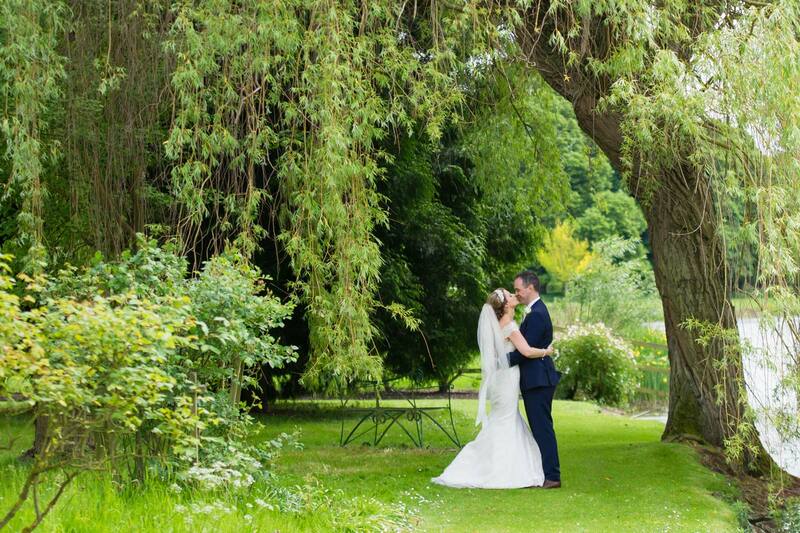 Chippenham Park is perfect and utterly romantic in every way. Our guests said it all after our day: "Best wedding venue we have ever seen and been to". Oh my goodness we had the most perfect day! It was so incredible! Your team along with Crown made the whole day completely stress free, so thank you so much! Words cannot begin to thank you and everyone at Chippenham Park for our amazing day! Every time we think about the day, we can’t stop smiling! The day was perfect from start to finish and we couldn’t have asked for anything different. All our guests loved the venue just as we did! The weather was also perfect, there wasn't a single cloud in the sky! Crown caterers were also fantastic, the food was delicious and the organisation was superb. Thank you for everything, from having Mickey being involved with the day to all the pre-wedding meetings. You’ve left us with a lifetime of memories and for that, we are truly grateful! Peter and I cannot thank you enough for your support during the planning and throughout the day of our wedding. We had such an amazing time and all our dreams came true - your support and guidance made this possible for us. Please also thank Becca for us - hopefully we'll be along to one of your open garden days again soon. Thanks so much for such an incredible day, you and the whole team really were amazing!!! We had an amazing time, felt relaxed and able to just let go and enjoy ourselves and that was largely thanks to you so THANKS!!!!! Firstly I would like to thank you for the effort and dedication of your team on Monday 21st August 2017 at our daughter Kirsty's wedding. Kirsty and Graham along with all of their guests had a truly wonderful day and your venue and staff could not be faulted in anyway. We all have some beautiful memories of the day. Thank-you very much. It was a really great day. All of our guests at the day agreed that Chippenham Park is an amazing venue, and we are very glad we had our wedding at Chippenham. Thank you once again for making our day so special. We would like to thank you and everyone at Chippenham Park for everything you all did to make our daughter and son in law, Sarah and Ryan's wedding day last Sunday so special. Everything went brilliantly and all our guests were so impressed with the grounds. We were blessed with good weather so it was fantastic to have the ceremony outside and the drinks reception. I have sent a separate thank you to Crown Catering as they were also superb. Nothing was too much trouble and we have received some lovely feedback from our guests both on the day and afterwards. We really can't thank you enough and I know Sarah and Ryan would like me to pass on their grateful thanks also. They flew off yesterday on their honeymoon to Kenya and hopefully they are having a great time. Thanks so much for all your work in coordinating and running our wedding yesterday. Everything was perfect and we had a fantastic time. Several guests remarked that the whole day was very well organised. Thank you for helping make our wedding run so smoothly and keeping us on time, we have truly enjoyed working with you and your team, the location and people have been lovely from the first meeting onwards. Thank you for everything you have done for us and making our wedding feel so special. Another great thank you for all your efforts last week! We're all still coming down from the cloud... Everything went so well and thankfully the weather delivered too! The food was divine and the whole event went like a dream! Thank you so much for all your help and ensuring that the day ran so smoothly. You were absolutely amazing! Michael was also fantastic. The food was amazing and the service we received from crown was fantastic they were very attentive to all our guests, many of whom commented how great they were, so its brilliant that you have them as your only food provider. Please pass on a huge thankyou to everyone involved. Thank you for making the day so seamless! There was barely anything for us to do when we arrived! You have had so many comments on how beautiful your estate is, and what a great wedding it was! We can't thank you enough. Firstly both Alex and I want to say a huge thank you for making our day absolutely flawless! Everything was perfect and it ran so smoothly it was just so much fun for us!!! Everyone loved the venue (non Chippenham people) and said the staff/food/setup and everything was amazing!!! So thank you! I mean... What can we say!! You helped make the best day possible, every detail was amazing! We were so lucky to have you and everyone commented that it was the best venue they had ever been to!!!! I'm going to miss asking you questions... Maybe you could be my life PA and I'll pay you with jokes and wine? Now that we are back from Honeymoon I wanted to take the opportunity to say thank you for all of your hard work on the lead up to and on the day of our wedding on the 23rd of July. The wedding couldn't have gone any better and the venue looked absolutely stunning. I had compliments from everyone about how beautiful the venue is and with it being such a beautiful day, people really got to enjoy the grounds. Thank you for allowing us to have Rosie at the venue for our photographs, it made our wedding day really special to have her there! Just a short note to compliment all the staff involved with the organisation of the Stevens/Farrell wedding held in your beautiful grounds last Saturday 9th July, a day that will never be forgotten by the Bride and Groom and myself, but I am sure the invited guests also. I am the first of the bride's Father's, and I know how important it was to my daughter that the event was run with precision. There is no doubt in my mind this was achieved thanks to all the staff involved who conducted their duties in a most professional and caring fashion. I was so taken in with the enjoyment of the day that I overlooked the opportunity to publicly say thank you at the close of the evening. I should therefore be grateful if you could pass my thanks to all persons involved, including the administrators, child carers, attendants, the caterers, waiting staff, bar staff, and last but not least, the band, who ensured I had to visit the dance floor more than once even though I am on two crutches!! How the caterers managed to produce fayre of such high quality for such a large number, is beyond me. And each individual table completely served in one visit, brilliant. I am certain my daughter and son-in-law, (first time I have been able to say that!) currently on honeymoon, will echo my comments. We can honestly say we had the best day and cannot thank you and all of the guys at Chippenham park enough. 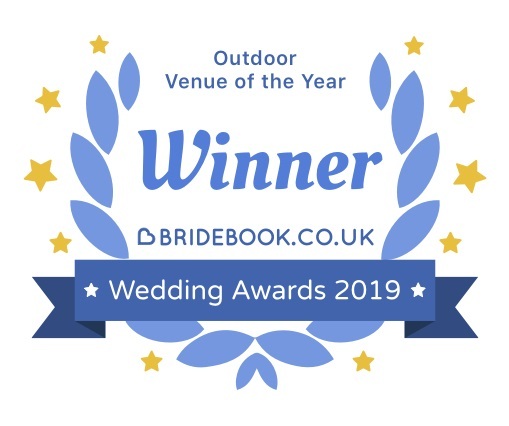 We will definitely be recommending you as a venue to any of our friends who are yet to marry as we and all of guests said what a smashing job everyone had done and how beautiful the venue was. Thank you so much for all your hard work in making Saturday such a wonderful day. Even the weather co-operated! We could not have wished for a better setting and arrangements for Simon and Gemma’s wedding. We were all able to relax and enjoy sharing their very special day due to you and your team. Friends of ours are getting married at Chippenham next year and it will be a pleasure to be able to tell them they really have made the right choice. So many guests said it was the best wedding they had been to and that the setting was magnificent. Scott and I would just like to thank you all for all of your help on Friday. We had the most magical day and thank you for helping keep us to time and make sure it all flows for us. The venue was beautiful too and many of our guests commented on this too! Thank you so much from both myself and Kristina for everything on Saturday. We had a magnificent time, and everything went perfectly - with huge thanks to you! Thank you again to yourself, Becca, and Hugo. We would like to say a huge 'Thank you' to you and all the staff at Chippenham Park for making Amy & Peter's day run so smoothly on Saturday. Everything far exceeded our high expectations. Chippenham Park is a truly spectacular venue and we thank Hugo & Becca for allowing us in to their beautiful home for the day. The weather wasn't on our side in the morning, but the right decision was made regarding the location of the ceremony. 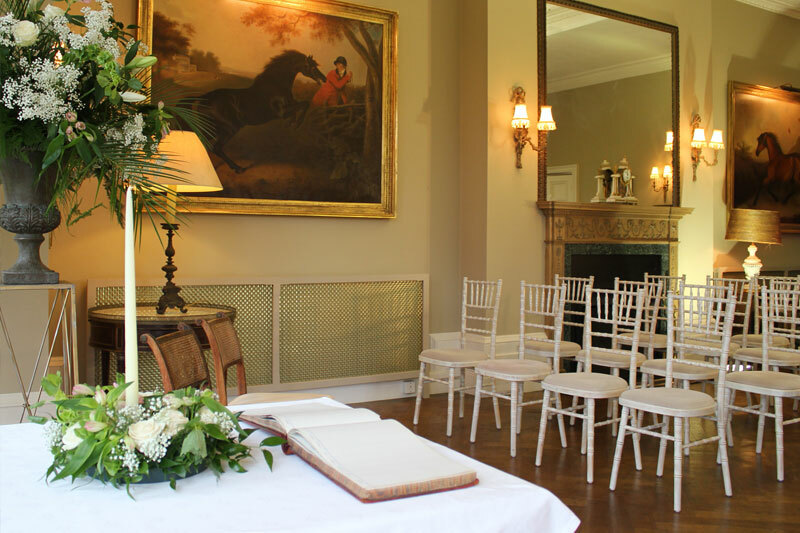 The Hall is a beautiful room and with the doors open behind the registrars, Amy & Peter were virtually outside. You were always in the background making sure things were moving along at the right pace and that we were in the right place at the right time, so Rob & I were able to relax and enjoy ourselves. Good morning to you both. Ahead of the formal 'thank-you's' that will be sent out in a few days, I wanted to say a huge thanks for all your work and efforts that went into my wedding. It was a truly magical day and went so smoothly. I appreciate so much all the work that was done behind the scenes in the lead up to and on the big day itself. Many thanks again and good luck with the rest of the season! Thank you so much for all your help in planning Hannah & Damian's wedding. We all thoroughly enjoyed the day & everything was perfect - an amazing venue for all ages & a lovely informal atmosphere with style! Many thanks to Becca & Hugo, obviously, for allowing us to have Hannah & Damian's special day there & also to Becky who took care of us on the day. Damian and I were completely and utterly bowled over by this venue when we first went to see it! And we can honestly set it lived up to every expectation! The staff that work there are so friendly and helpful (particularly Sara and Hugo), everything ran seamlessly on the day-they were even able to accommodate us with no bother when we realised we had an extra guest that had turned up on the day! The wedding suite is also just beautiful-we would highly recommend staying there-if only we could do the day all over again!! A very belated thank you for hosting and helping to plan our wedding in September. We had such an amazing day and our guests still comment on how beautiful the venue was. The day ran so smoothly and I can only thank you all for keeping us moving where we were running perpetually behind schedule! Beccy was great in the run up to the wedding, and we really appreciated the (many) visits before being accommodated... We wish you all the best for the future and thanks again for helping us make the day truly special.